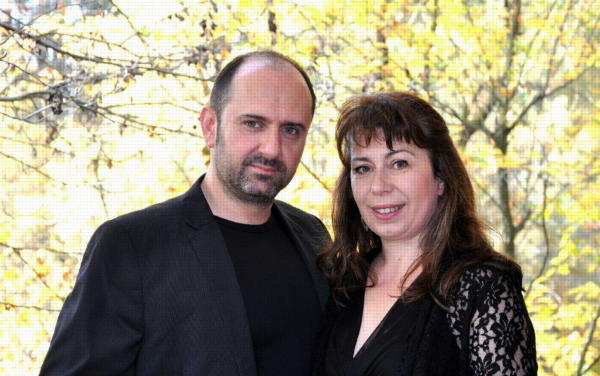 The married couple Ivo and Sofia Kaltchev are one of the most established duos of the international guitar scene. During their studies at the University of Music – "Franz Liszt" in Weimar with Prof. Juergen Rost they won as duo six first prizes at international chamber music competitions, including Havana/ Cuba, Bari/ Italy and Bubenreuth/ Germany – three of the most important international chamber music competitions with guitar. Celebrated by the press, the duo has performed several world premieres and performs frequently with renowned symphony orchestras such as the Thueringer Philharmonic, Athens State Orchestra, Moldavian Philharmonic, Bavarian Chamber Philharmonic and the Baden-Baden Philharmonic, to name a few. Numerous radio and television broadcasts in Germany, Spain, Cuba, Bulgaria, Mexico, Greece and Croatia, concerts in more than 20 countries and several CD recordings document the outstanding position of this remarkable ensemble.